By using this tool, you agree to our terms of service. 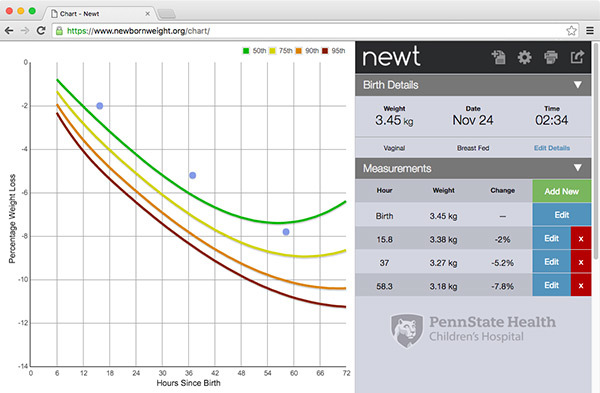 "Newt is the first tool that allows pediatric healthcare providers and parents to see how a newborn’s weight during the first days and weeks following childbirth compares with a large sample of newborns, which can help with early identification of weight loss and weight gain issues." Ian M. Paul, M.D., M.Sc.